Insulin Hormone - Control Your Blood Sugar Control Your Weight! Insulin is another important weight loss hormone that can affect your weight. It is produce by the pancreas and helps regulate blood sugar levels in your body. It also sends fatty acids, amino acids and glucose to go to the various cells. After you eat, your blood sugar goes up and the pancreas releases more insulin to regulate it. The downside of insulin is that, too much of it can be produced in the body in the effort to maintain blood sugar levels. This is often triggered by a low-protein high-carbohydrate diet. All this can result in you gaining weight and your cells even becoming resistant to losing fat. When you’re tested for insulin resistance, the doctors are looking for a certain range. How to Reverse Insulin Resistance? What are the medical treatment available? Insulin is the very first hormone to be identified and isolated in the pure form. It is a protein hormone synthesized by beta cells of the islets of Langerhans of the pancreas. The structure of insulin constitutes 2 polypeptide chains; ‘A’ chain having 21 amino acids and ‘B’ chain having 30 amino acids. Although insulin has a moderate set of functions, the primary function is to trigger and facilitate the glucose absorption by various cells. Glucose is absorbed and stored in cells in the form of glycogen. Other supportive functions include stimulation of glycogen synthesis and inhibition of gluconeogenesis. Insulin also has the overall responsibility of regulating the glucose content in blood and inhibiting fat usage for energy. Diabetes mellitus is the group of metabolic diseases caused by disorders in the insulin system. Type 1 diabetes is caused by absence of production of insulin. Whilst Type 2 diabetes is due to the inefficiency of insulin receptors which is termed as insulin resistance. It is widely considered Type 2 diabetes is incited by obesity. However recent studies state the reverse is also substantive. As the insulin receptors are inefficient to consume the level of insulin in blood rises above normal causing hyperglycemia and lead to obesity. 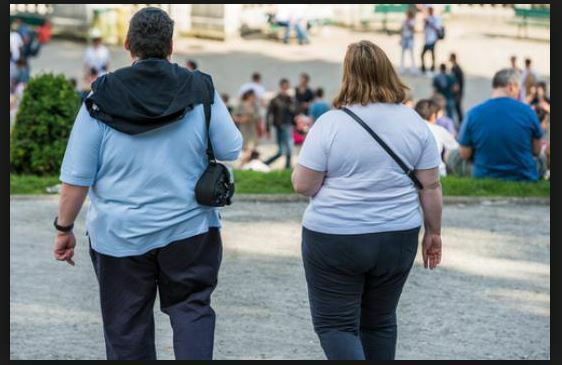 Obesity induced by hyperglycemia features storing of fat primarily in the abdomen area counter to storing in hips and thighs. Type II Diabetes occurs when the body’s cells are not able to take in energy from glucose. This inability of the cells to take up energy is called “insulin resistance”. You may also hear it referred to as “impaired glucose tolerance”. When the pancreas senses a rise in the blood sugar level, it releases insulin into the bloodstream. Insulin is designed to open up the cells so that they can uptake the glucose. Think of insulin as a key to the cells. When this insulin key opens the cells, energy can flow into them. When all is working properly with this process, glucose is taken into the cells from the bloodstream and blood sugar levels fall back to normal. Cells, however, can become resistant to insulin, meaning that the insulin doesn’t have the normal effect on the cells. It’s as if the cells don’t recognize the key anymore. When this happens, glucose isn’t easily delivered to the cells. The pancreas, detecting that the blood sugar levels are not going down, will pump out even more insulin. The pancreas is usually able to do this job quite well. Over time, though, the cells can become more resistant, and the pancreas can become overburdened. When this occurs, it becomes impossible for the body to get enough blood sugar out of the blood and into the cells, and the crucial threshold for Diabetes is passed. If your fasting blood glucose is under 100 mg/dL, then it is not likely that you are insulin resistant. If you are between 100-125 mg/DL, then you are classified as pre-diabetic. When that 100 mg/DL threshhold is passed, it’s time to take your health very seriously and find a program that will help you reverse pre-diabetes. If not, you’ll eventually find your blood sugar readings going over 125 mg/dL, which is the tipping point for Type II Diabetes. Now that you know what insulin resistance is, it’s important to know whether you are at risk for getting it. You can “see” one symptom, while the others need to be checked by a doctor. If you do see this one symptom, it’s imperative that you do get checked out by a doctor as soon as possible. And what is this symptom that you can see? Just look down at your stomach. Yes, the number one thing to look for with diabetes is whether or not you are overweight. Obesity is highly correlated with diabetes. Insulin resistance can lowered to an extent by lifestyle and dietary controls. The key idea is the efficient use of available insulin receptors by flexing body metabolism. One dietary movement that can be made to establish this is to include whole carbs such as whole grain breads and cereals, whole fruits and vegetables etc. Avoid diet that are low in fiber. These items get digested quickly than fibrous foods and impact more on the available insulin receptors thus lowering the insulin level. Diabetes-obesity combination is arguably the most reported health concern in the modern world. Hence is the variety of medical treatments available for diabetes and obesity. The medications include biguanides to improve insulin reception, thiazolidinedione drugs to improve insulin consumption by the cells and alpha-glucosidase inhibitors to lower sugar absorption in the intestine. In some cases, individuals can undergo the expensive bariatric surgery to shed weight. 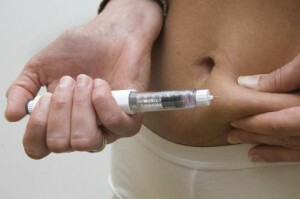 Insulin therapy is only effective for a small number of type 2 diabetes patients. Insulin resistance and diabetics (type1, type2) are lifestyle diseases. Hence, it is better to reverse them using lifestyle changes. Intermittent fasting, few weeks of crash diet and even master cleanse diet can help you overcome it.